Muhammad Ali was not only a champion athlete, but a cultural icon. While his skill as a boxer made him famous, his strong personality and his identity as a black man in a country in the midst of the struggle for civil rights made him an enduring symbol. From his youth in segregated Louisville, Kentucky, to his victory in the 1960 Olympics, to the controversy that surrounded his conversion to Islam and refusal of the draft during the Vietnam War, Ali's life was closely linked to the major social and political struggles of the 1960s and 70s. The story of his struggles, failures, and triumphs sheds light on issues of race, class, religion, dissent, and the role of sports in American society that affected all Americans. 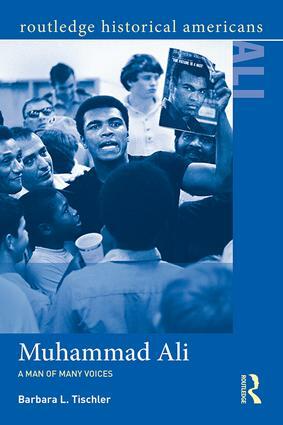 In this lively, concise biography, Barbara L. Tischler introduces students to Ali's life in social and political context, and explores his enduring significance as a symbol of resistance. Muhammad Ali: A Many of Many Voices offers the perfect introduction to this extraordinary American and his times.